May 27, 2009. This is the day I learn I have cancer. Weird. I never thought I’d hear those words. I am still drowsy from anesthesia. The doctor just comes in, and she says, “Well, we thought it was hemorrhoids, but it’s not. It’s a tumor. It’s cancer.” Just like that. Now I am a person with cancer. A four-year-old boy is diagnosed with a brain tumor. A 38-year-old mother dies leaving a husband and three children. A 48-year-old man is suddenly jobless after years of faithful work on the job. A son commits suicide, leaving his parents devastated and questioning. A young mother’s breast cancer returns with a vengeance. A young preacher is killed in a head-on collision leaving his family fatherless and his church pastorless. How do we survive these kinds of things? Where do we go with our grief? Where do we take our questions, our anger, our pain, and our fear? Who will answer the “Why?” that echoes across the universe? My cancer diagnosis can’t even compare to some of these other losses, but the one thing it has shown me is that God is real. He is here. He will never leave. Eyes blinded by tears and heart split open, I find myself running. Running to the one who said He would catch my tears in his hand and dry every tear from my eye, the one who said he would never leave me or forsake me, the one who said he would turn my mourning into dancing. He’s the one who will see me through when tragedy strikes. He is the only one who can. God stirs up the nest. It reminds me of the many times as a mother I’ve had to stir up the nest in the lives of my children: moving them so many times, taking them out of their culture into something different, leaving them in tears at the gate of another new school, watching them say goodbye, again, to their family, to their friends, to all they knew. Stirring the nest. And then one by one moving them into the dorm, hugging them fiercely and driving away. It is incredibly difficult and painful to stir the nest. But God stirs the nest anyway. He knows it will be good. He knows it will produce growth and strength. He knows it will give me wings. And it tears His heart out just the same as it tore mine out. God knew cancer was coming. He knew the journey would be a challenge. He knew it would be painful. And He hurts too. I am overcome with the realization of His intimate knowledge of all I am going though and the fact that He hurts with me. That’s the God I have. And He is here. He hovers over me. As I fall from the nest and struggle to take flight, He is right here hovering over me, just in case. His eye is focused on me. He is watching. And should I tire, or should I give up, should I come near to crashing to the ground, He will spread out his wings to catch me and He will carry me. Peace shrouds every question. God is intimately involved in this with me. A couple of years ago I went skydiving. The most exhilarating part was the initial jump from the plane. We were free falling at 140 miles an hour and yet it felt like we were floating. That’s where I find myself now. I am in a free fall, but I have such an incredible peace and sense of beauty as I float to the ground knowing that God is hovering over me. Nothing can go wrong! His eye is on me. I can rest. Laura Shook recently released her first book, Forever Hope, detailing her journey through cancer diagnosis, treatment, and recovery. You can purchase it on Amazon. Laura is available for interviews and public speaking events. For more information contact Kristy Stark at kristys (at) communityoffaith.tv. Laura Shook has a heart that bridges oceans and cultures. After serving nearly a decade as a missionary in Mexico, she returned to Houston, Texas, where she founded Community of Faith with her husband Mark and three children. In ten years the church has grown to over 8,000 people in worship and has been listed among the top 100 churches in the country. 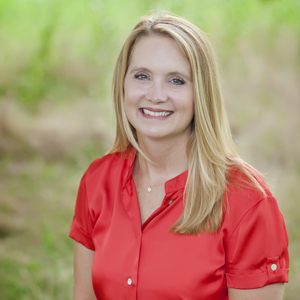 Laura encourages people in Houston and around the world, and sets the tone for the international ministries of the church, as a tireless advocate for the broken and forgotten. Laura is a gifted speaker and teacher. She is a graduate of Baylor University and is a Registered Nurse. A cancer survivor, Laura lives each day committed to loving people and living full-out for Christ. This entry was posted in Faith, Family, Fear, Freedom, Grief, Hope, Joy, Parenting and tagged cancer, cancer survivor, Community of Faith, Cyclones & Storms & Squalls, Forever Hope, healing, Laura Shook, loss, tragedy, trust. Bookmark the permalink.